PF thugs yesterday attacked UPND deputy Secretary General Patrick Mucheleka and Sylvia Masebo with their delegation in Kasama. 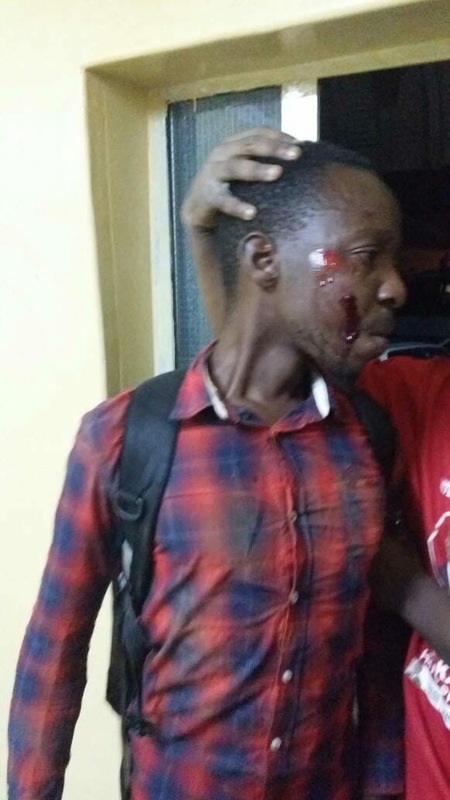 The UPND team was attacked and some members hacked by PF thugs inside Radio Mano where they were being interviewed . The PF thugs were paid by PF’s Kelvin Sampa and Kaiser Zulu, Edgar Lungu’s Advisor.